The main focus will be on the subject at hand, your family. I want to photograph YOU as naturally as possible. People are beautiful when REAL. You know, real moments, real laughter, real hugs. Sure, I will guide you some, but the main purpose is to photograph you connecting with each other, your relationships and how you are all together. Of course there will be some "camera aware" images, because those are important. I get that. But it's the moments in between that are so very precious. THOSE are what I want more then anything. I realize in this day and age that the files are important. With all session options, the files are included. They are your images to share with your world. Please do! AND they also include a print release for personal use, so please, feel free to print your images. Let's get those images off your phone and on your walls! You can print from your digital files or you can place orders directly from your gallery. Many options are available and it can sometimes be overwhelming, so of course, I'm here to help! All session take place in the Lubbock area. For sessions outside the Lubbock area a travel fee is involved. Gas folks, just gas. Unless you live in Hawaii of course. :) And in that case, just please, please, please take me with you. Got any questions? So did these peeps. Scroll down to read all about it. Q. What is your style ? I have a casual, more documentary style of photography. Perhaps a bit laid back? Maybe? But my main goal when photographing your family is to keep it fun. It should NEVER be painful, uncomfortable, and most of all, it should be YOU. Okay, stay with me. You are cleaning out your junk drawer and you come across some photos you tossed in there back in 2001 and you stop and for a moment, you can't breathe. It's that look on your child's face and expression that melts your heart. It's that smile that your husband gives you when he's seriously enjoying himself. It's that belly laugh from your best friend, whatever image it is that you found in that junk drawer, it's that feeling you get from looking at a long forgotten moment. A moment that is immediately in your consciousness and heart the second you see that image. You remember. You remember the time and place, the conversation, everything about that moment, the still image can bring up in a second. I LOVE those feelings you get from looking at photographs from moments in your life, moments in your heart. 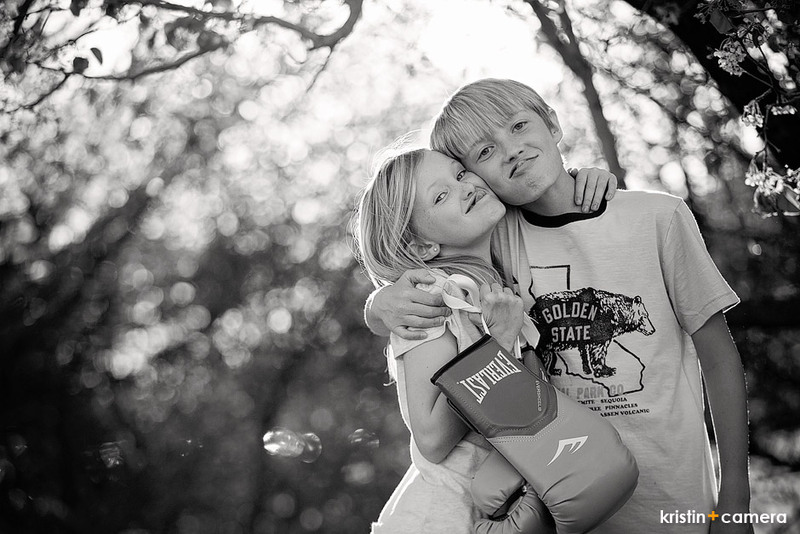 I want to create those moments in beautiful portraits of your family. YOUR FAMILY. Q. My kids are total brats, and I'm scared they won't sit still. What should we do? I LOVE photographing families. And I love kids! I have 2 myself. But did you know I taught preschool and have a college degree in early childhood eduction? Yep. Teacher certified. That said, I hated the stifling environment of the classroom for preschoolers and taught my class completely hands on and FUN! I bring that fun to my family session. You will find me talking to you and your family a lot, with special attention in engaging your children in the moment. This is so important to me. Q. I take horrible photographs and hate the idea of posing for the camera. Why are we doing this? Then don't pose. Seriously. I hate it, too. And most folks unless they are in the entertainment industry do not look good posing. They look fake, and not REAL They don't look like themselves. This is why I gravitate towards the natural posing that families do. I may offer posing suggestions as needed, that get you guys started, but once we get in the groove, you enjoying your kids, me enjoying YOU, the rest just happens. Also, attitude is everything. EVERYTHING. So, approach this as a fun thing to do with your family. NO grumps allowed. And once done, you'll wonder why you waited so long. Q. Clothing Suggestions? Please don't feel the need to match and wear white or all black tops. YUCH. This is so 80's, 90's, been there, done that sort of thing. Instead, I highly suggest clothing for each family member that has the same tone, not necessarily color. Please, and this is very important, be wary of stripes, plaid, words and logos on your family's clothing. These things can be a distraction and I'll have trouble finding the YOU in your family. Oh, and bare feet are great for family sessions, but in an open field in west texas, we are asking for tears on a two year old. So, maybe just comfortable shoes? HOWEVER, brainstorm! Look around your home and see what colors you love. Dress up in what you LOVE, too. And if you have a temperamental kid that wants to bring his spiderman costume and star wars sword? LET HIM! WE can work around this and even work it into the shoot! Also, keep in mind the finished result and where these images will be displayed. If you decorate with lots of warm tones, you may want to dress in warm tones. If you have an eclectic mix and color and style in your home, by all means, dress that way! Show off your individual styles. After all, this is for YOU about YOU, so look like YOU. Q. Okay, so we can photograph my family, but what about "my bigger family"? No worries. I can handle a BIG family! Large family groupings simply require communication and drugs, and planning. Okay, kidding about the drugs. Sort of... We will need talk at great length about everyone's quirks and faults and positive traits. We will also need find a place that doesn't require a ton of transportation between locations. We want everyone happy and enjoying each other. I love starting at the "childhood home" or farm and going from there. Brings snacks! And a cooler of beer/drinks. There is an additional charge for bigger families outside your immediate family. Just contact me for the details and we will hash them out. Q. Family Activities, what should we do? Sitting on the couch is kind of boring. Sometimes a family gets nervous when thinking about “posing for the camera” and the last thing we want is a STRESSFUL session, so many times activities help get the session going. Here’s a list of things to help you brainstorm what works for your family. the main thing is to BE TOGETHER enjoying EACH OTHER! Q. You got me, I want my family to be photographed by you. What next? Great! Simply email me to get the conversation started! I will email you some information so you can choose the session that best fits your needs.